For those films fortunate enough to get a theatrical release, the cinema serves not just as temporary home and performance space, but also as shop window, showing off the movie-making wares for what is hoped will be an extended afterlife in the home market. Yet for other films – the products that have traditionally gone straight to video, or more recently straight to stream – there have usually been two primary ways in which the attention of the potential viewer is drawn to them: word of mouth, or random browsing in a store. So with the news that HMV, one of the country’s main DVD/Blu-ray retailers, is going into administration, not only do 1000s of employees face the prospect of being out of work, but ‘niche’ films too risk being deprived of a key public forum, and being forced out onto the digital streets, where encounters between viewer and title are rarely random. For as both film shopping and viewing are driven inexorably online, far fewer are the opportunities to be drawn to something new not by an algorithm-driven, taste-reducing ‘recommendation’, but by the more arbitrary appeal of a physical object on a shelf with a striking cover and an attention-grabbing name. 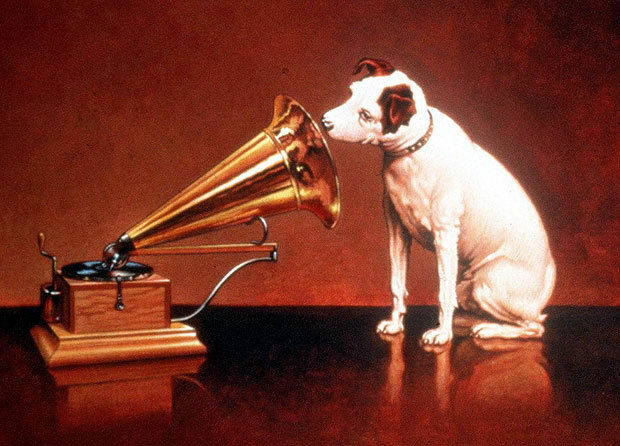 Over the years HMV has played passive matchmaker to many a budding cinephile, leading to impulsive loves at first sight, unexpected discoveries and even long-term relationships – whereas dates arranged online with films tend to put like with like, not allowing for the way that opposites often attract. So if the Master has lost His Voice, and the packaged film has lost its display case, it is all the more important that critics fill in the silence, championing the overlooked and the outré, the mad and the marginal, as loudly as possible. If we never hear we almost certainly won’t see – so keep spreading the word.